partner Archives - Build the Brand. Protect the Brand. Due to a recent rise in Utah roadway deaths and increased summer traffic on major highways, Staker Parson Companies hired R&R Partners in Salt Lake City to raise awareness for its long-held corporate goal of Zero Harm to all Utah drivers and travelers. Staker Parson leveraged an opportunity to create a public social cause message to impact the overall safety of Utahns, as well as to create support for its ongoing safety efforts in the communities in which it operates. It’s consistently building safer roads by encouraging drivers to put down their phones while driving (employees in work zones and community members on public streets). The call to action? It’s simple: Stop to Talk. Stop to Text. 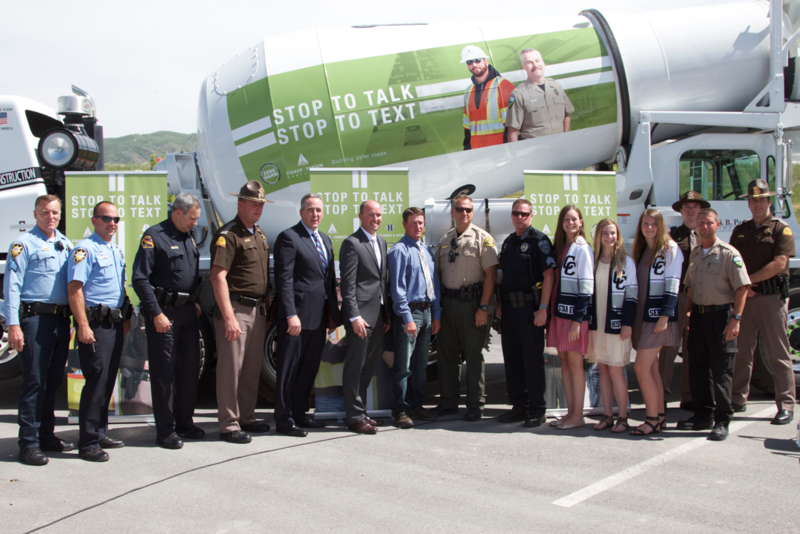 The intermountain region’s leading construction materials and services provider, strategically chose to partner with state safety officials and the Utah Highway Patrol to eliminate distracted driving—calling particular attention to cellphone use behind the wheel. 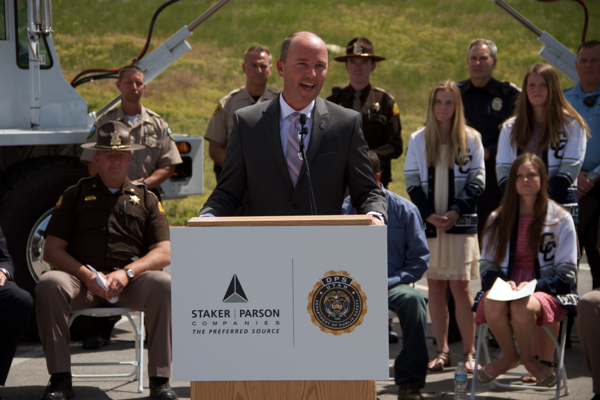 Leadership from Staker Parson Companies and the Utah Highway Patrol joined Lt. Governor (of Utah) Spencer Cox to launch the new safety initiative at a formal press event on Thursday, June 2. 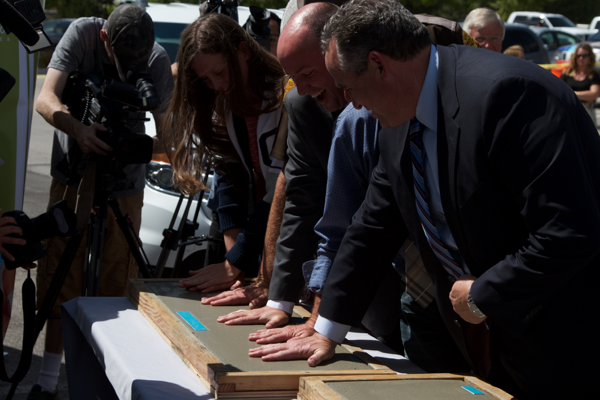 This press event featured several speakers who shared their commitment to work-zone and Utah roadway safety initiatives, and encouraged all Utahns to pledge their commitment to the same worthy goal. Event speakers included: Lt. Governor Spencer Cox; Scott Parson, president and CEO of Staker Parson Companies; representatives from the Utah Highway Patrol; Lee Goodrich, Staker Parson employee and uncle of the late Chet Goodrich; as well as a student body officer from Corner Canyon High School. In addition to the formal press event, several creative assets were built to complement the event. Branded concrete mixer truck barrels, banners, a Snapchat filter and printed collateral featured law enforcement and Staker Parson road crews working together to build safer roads.